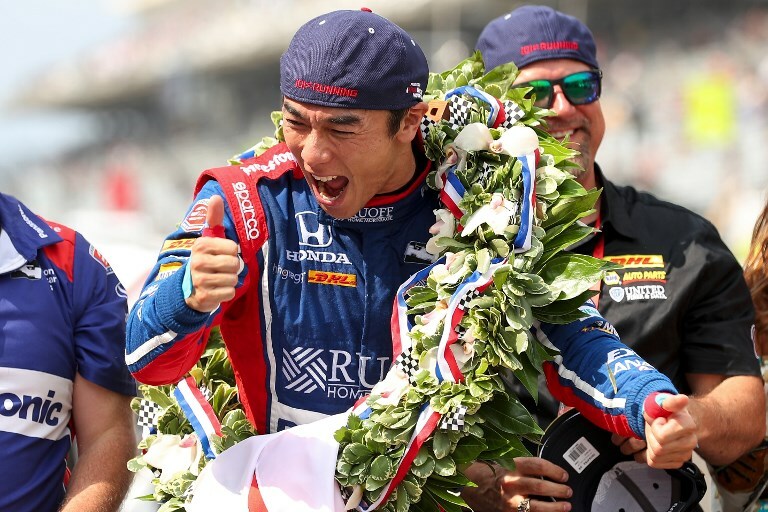 On May 28, Takuma Sato became the first Japanese in history to win the prestigious Indianapolis 500 held at the Indianapolis Motor Speedway. More than 40,000 people were present to witness this event. It has been a tradition since 1936 that the winner of the race gets to drink and pour a bottle of milk over his or her head. For the first time, Sato carried out this tradition at the reputable event. Showered with congratulations words by a large crowd surrounding him, Sato expressed his gratitude and thanked each and every one of them. 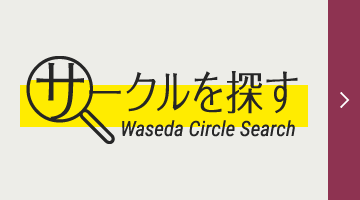 Reflecting on Sato’s journey to success, the following section is an interview conducted with him in 2003 when he was still a student of Waseda University. What makes motorsport a sport? Many people debate about whether motorsport is really a sport in itself and Sato thought that one of the reasons why such debate exists is because many are not sure what is going on in a racing driver’s body physically and mentally when he or she is in a race. For instance, it is difficult for many to imagine the kind of physical burden drivers have on them when they turn a corner at top speed. Taking F1 as an example, drivers have to overcome the humongous gravitational acceleration between 4g and 5g. For a man that weighs 60kg, it will feel like 300kg body of weight is acting on his head through his body. As such, if the driver is not physically strong and fit like a sportsman, there will not be proper blood circulation in his body. It is estimated that a driver can sweat up to 3kg of sweat after completing a single race (approximately 90 minutes). As drivers also have to stay very focus during a race or they will face a possibility of death, motorsport is both a physically and mentally demanding activity, just like any other sports. In fact, racing drivers have to train their body just like other sportsmen. It is particularly important to do physical training that strengthen the heart as a driver’s heart rate increases sharply during a race. Other crucial parts of the body that need to be strengthened are shoulders and neck. This is because all drivers have to wear a safety helmet, which gets heavier due to the g-force, throughout a race. Aside from hard work, what does it take to be a top-class athlete? 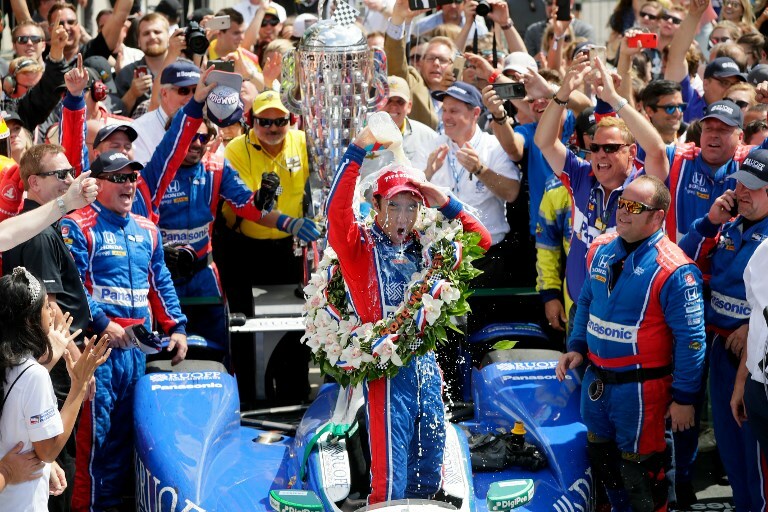 Sato thinks the answer lies in how much passion the person have for the sport. If someone really like and have strong passion for something, even tough times do not feel like hard times. This passion, he believes, is the key to becoming a top-class athlete. In fact, Sato personally likes cars a lot and believes that his passion for cars does not lose to anyone. What happens in a racing driver’s mind during a race? Sato thinks that when racing drivers are in a race, they do not feel that they are actually driving. He believes that racing drivers, just like any other sportsman or athlete, basically set their mind free when they are in a competition. Take soccer as an example, soccer players do not do a metal simulation or calculation on the what angle they should place their leg and how much force to assert when they kick. The same goes to motor racing. In fact, motor racing cars move at such a high speed that stopping to think for just a split second will result in the driver losing the race. One would have got so used to it that everything happens naturally in a competition thanks to muscle memory. Did the theories Sato learn at Suzuka Circuit SRS-Formula School when he was 20 years old help him in actual race? Sato thinks that theories are important but race drivers would not be able to drive faster by just learning the theories. A person has to practice driving on the actual course to actually learn how to handle the car. 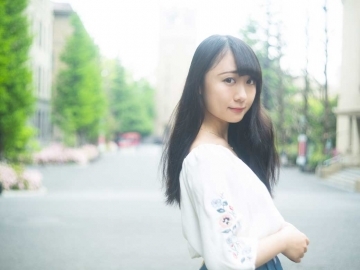 The reason why Sato decided to join the SRS-Formula School was because of the scholarship system it had in place. Motorsport is not something that someone can pursue just by having passion for it. One would need financial aids and support from many different people to order to do so. I did not have such support when I first wanted to pursue a career in motorsport, but SRS-Formula School provides them under their scholarship system. Was there anything that held Sato back when he gave up cycle sport in high school? Sato still likes bicycles and cycling. However, even before he became a professional player in cycle sport, he had always wanted to pursue a career in motorsports. However, because he could not do it when he was still a high school student, he decided to go for something similar and went for cycling. In order to join the SRS-Formula, one has to be below 21 years old. When Sato knew about this requirement, he was only 20 years old. It was his last and only chance to be accepted by SRS-Formula. If he had missed the opportunity, he would not have been able to accomplish what he has today. Why did Sato decide to go to United Kingdom (U.K)? The biggest reason Sato decided to go to the U.K was because he wanted to compete as a F1 race driver. 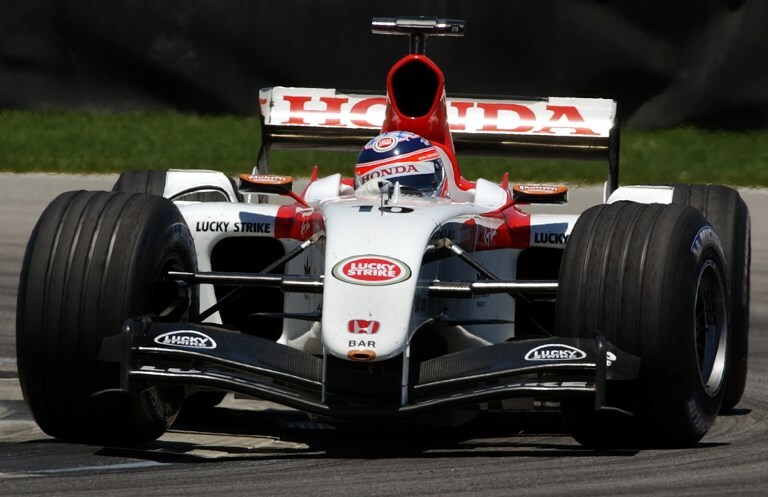 The first F1 championship was held in the U.K and more than 60% of the F1 teams were based there (this interview was conducted in 2003). As such, F1 races and drivers are centered heavily in the U.K. For a Japanese like Sato, language barrier was one of the biggest challenges he had. 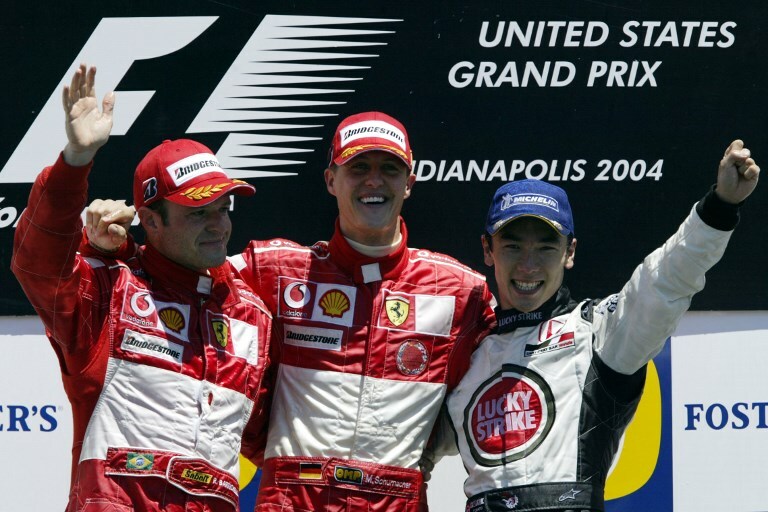 In order to overcome this obstacle before he can even set foot on the F1 stage, Sato thought he needed to learn English and went ahead to go to the U.K to study the language and culture. Despite being widely thought to be a dangerous sport, what made Sato so attracted to F1? Firstly, Sato thinks that F1 has come a long way and has now attained high safety standards. F1 car is made of carbon which is a light but strong material. Because of its light weight, it minimizes impact when cars collide with each other. Additionally, the shield (a term used for cockpit in F1) of a F1 car is made from very strong materials, protecting the driver from a strong collision. 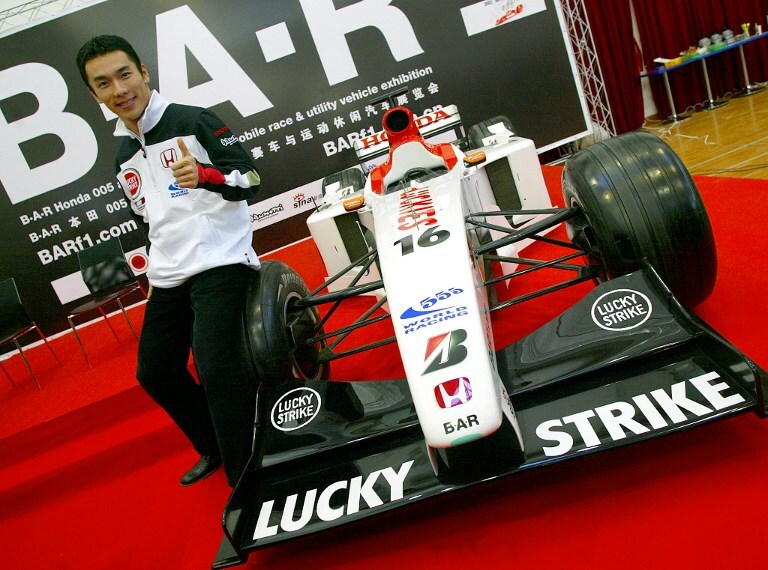 Sato once meet an accident during a race where a race driver lost control of his car and collided into Sato’s car straight from the side at an estimated speed of 200km/h. Even so, Sato still lives today. Considering this, racing in a F1 car can be said to be safer than driving in a usual car on the road. Of course, it is possible that drivers lose control of their cars due to broken small components which can turn out to be a disaster. 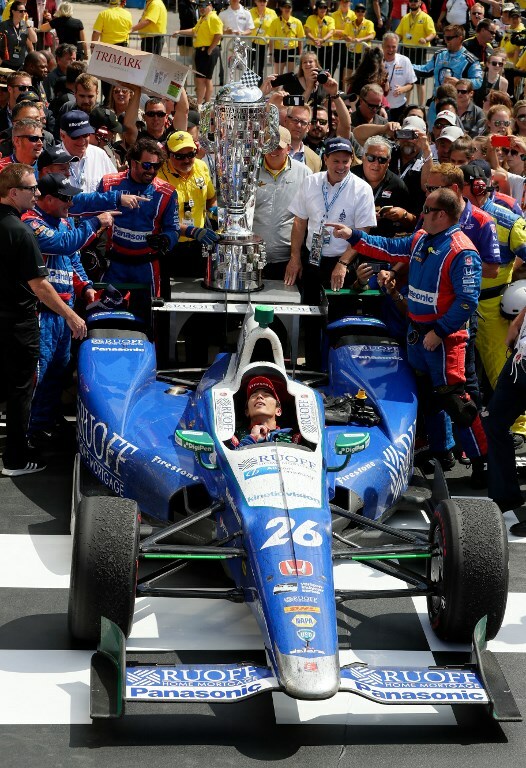 Nevertheless, Sato thinks that he has to trust his repair team because without such trust between the two parties, race drivers will not be able to bring out their best performance. It might be surprising to some, but a team in motorsports is usually made up of about 700 members (sometimes even 1000 members for big teams), supporting just two race drivers. As such, Sato thinks that motorsports such as F1 are built heavily on trust and communication. Did Sato have any difficulties communicating with his team when technical difficulties arise? 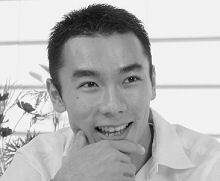 Sato did not recall having great difficulties in communicating with his team in English. However, he did point out that the way communication works between Japanese and English is different. For instance, one is expected to interpret ten things the other party is trying to say when being told just one thing in Japanese. However, ten things can be said in English but only one thing gets conveyed. 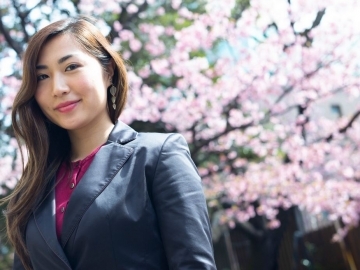 As such, Sato thinks it is very important not to hold back, say as much as you can and be as clear as possible when communicating in English. Having said so, Sato could not even speak a word of English when he first came to the U.K to study. But as time passed, he was able to speak better each day by attending classes and joining homestay program. Sato felt that, sometimes even if he did not speak good English, he was able to convey his feelings and what he wanted to say through gestures and body language. 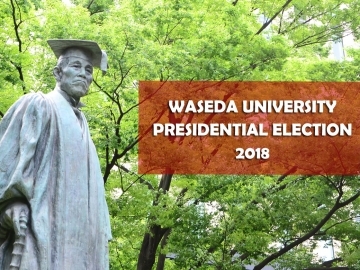 Sato hopes that students at Waseda University will pursue something they like and never to give up on their dreams. He wants them to be confident in themselves and keep challenging themselves for greater heights. Even if the hard work one puts in does not bring results, it will definitely make he or she grow as a person and even open up new doors and opportunities they may never have imagined. When that happens, he wants them to seize the opportunity and remember the importance of not giving up. Sato was born in Tokyo in 1977. During his high school years, he competed in cycle sport and won the inter-high school title. He even went a step further and set up a student club for cycle sport with his homeroom teacher when he was in high school. 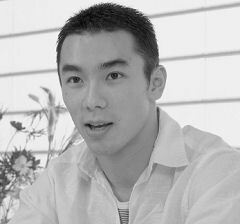 Sato entered the School of Human Science at Waseda University in 1996 and quit university in 1998 to pursue his dream in motorsports. After getting a scholarship from SRS-Formula, he went to the U.K and became the first Japanese to win a F3 international racing competition. *This article is written based on an interview with Takuma Sato in 2003.